Ole Gunnar Solskjaer's first game in permanent charge of United was far from comfortable as Watford dominated for large periods and had 20 shots compared to eight from the home side. However, Marcus Rashford scored on the counter-attack in the 28th minute and Anthony Martial bundled in a second in the 72nd minute to put United in control. Abdoulaye Doucoure replied with a slick goal in the 90th minute but United, who had lost to top-four rivals Arsenal last time out, held on to move into fourth place in the Premier League. It was a game that both sides might look to move on from quickly - Watford due to the disappointment of leaving empty-handed and United because it was one of their poorest displays since Solskjaer took caretaker charge in December. 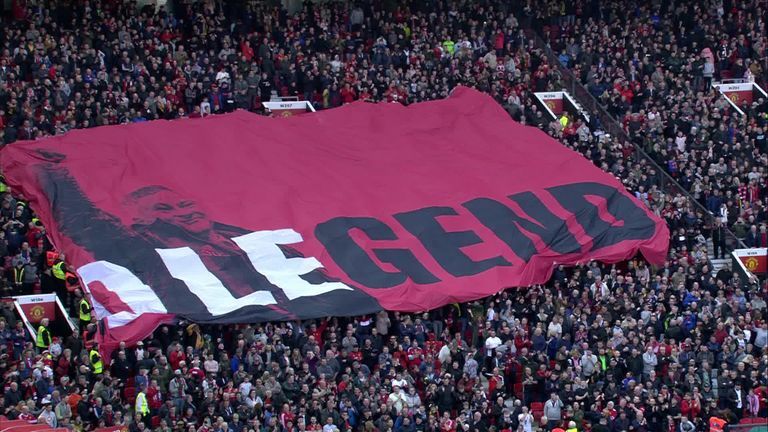 Solskjaer's promotion from caretaker manager to permanent boss was greeted with chants of 'Ole, Ole, Ole' as the teams emerged, while a large banner celebrating the Norwegian was unveiled across the Stretford End. However, it looked like Watford might quickly dampen the atmosphere. The visitors made a bright start and could have taken the lead as Doucoure dragged wide from a good position in the box and then David de Gea pushed away a header from Troy Deeney, who was causing problems for United's defence. United struggled to get into the game and were grateful to see shots from Gerard Deulofeu and Roberto Pereyra go straight at De Gea. 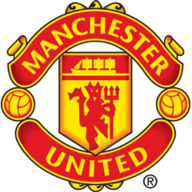 However, United struck on the counter in the 28th minute as they won the ball outside their own box and Luke Shaw played an excellent pass through for Rashford, who clipped over a sprawling Ben Foster. Martial should have added a second as he shot at Foster from 10 yards out, but it was still Watford who created most of the scoring chances. De Gea saved from Pereyra at the start of the second half before Will Hughes curled narrowly wide. Rashford and Martial both started for United, having been doubts, while Lukaku was on the bench following a foot problem. Lindelof, whose wife gave birth this week, was not in the squad. Watford made five change from their last game and they were all at the back. Foster returned in goal and Janmaat, Kabasele, Britos, Masina replaced Femenia, Mariappa, Cathcart and Holebas. United again struck against the run of play for their second goal as Jesse Lingard played into the middle for Martial, who finished from close range after Foster dived at his feet to save his initial flick. Doucoure replied with a neatly-taken goal in the 90th minute after a one-two with Isaac Success, but it was only a consolation for Watford. Ole Gunnar Solskjaer received a warm reception from the Manchester United fans as he walked out ahead of their match against Watford. United's midfield struggled to get any control of the game, which meant the defence came under plenty of pressure. Chris Smalling and Phil Jones were both largely solid in the middle but Shaw was excellent at left-back, both defensively and on the few occasions he was able to get forward. His pass for the opening goal was perfectly-weighted for Rashford. Watford are winless in all 12 away league visits to Manchester United (W0 D2 L10). 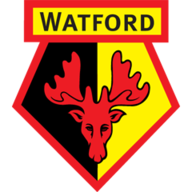 In top-flight history, the only team to play more away matches against Manchester United without winning than Watford (12) are Luton Town (15 matches between 1955 and 1991). Watford have lost each of their last 14 Premier League away games against 'big-six' sides, since a 2-1 win against Arsenal in January 2017. Man Utd's Anthony Martial has been directly involved in four goals in his last three Premier League starts versus Watford (three goals, one assist). Man Utd goalkeeper David de Gea made seven saves in this match - only versus Spurs in August 2011 (9) and versus Liverpool in December 2014 (8) has he made more in a Premier League game at Old Trafford. Man Utd's Luke Shaw has provided three assists in the Premier League this season, one more than he registered in his previous four campaigns in the competition for the Red Devils combined (2). 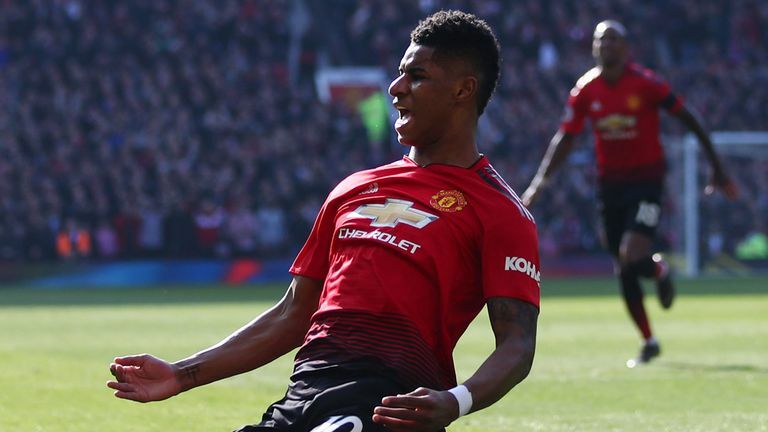 Manchester United travel to Wolves in the Premier League on Tuesday, live on Sky Sports, before the first leg of their Champions League quarter-final against Barcelona at Old Trafford on Wednesday, April 10. Watford host Fulham in the Premier League on Tuesday and then face Wolves in the semi-finals of the FA Cup on Sunday.